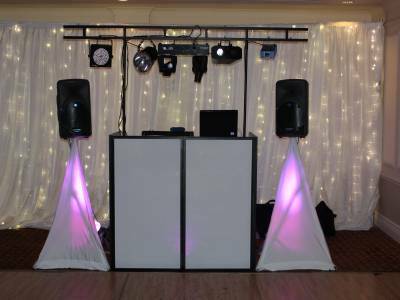 A high quality mobile disco and lightshow with a premium DJ, based in Vale of Glamorgan and offering a premium service at a budget price. Required by many venues, Viking Disco has a current PLI policy with Mobile DJ Network in the amount of £10 million. Also required by many venues, Viking Disco has supplied satisfactory evidence of holding current PAT inspections of their equipment dated within the last 12 months. A Method Statement outlining Viking Disco&apos;s Health & Safety procedure for setting up disco equipment has been provided. 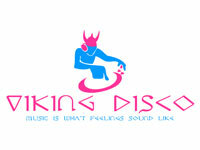 Viking Disco has provided Risk Assessments undertaken at events sourced via needadisco.com, indicating that they can undertake these competently. Why do people choose to book Viking Disco? Good price, happy to help. Listened to requests for the party. The lighting and set up looked most professional and had good reviews. Reasonable costs - quick response time and very flexible with music choices. 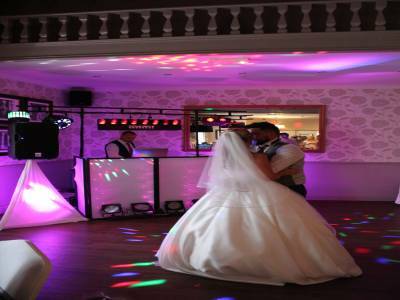 "Mike from Viking disco was a complete professional and a gentleman nothing was too much trouble. Mike made sure all requests were played and catered to all music if he didn't have it already he would find it. Mike contributed to a fantastic night. Highly recommended." "Really appreciate your fab feedback, it was exciting to play and see the reactions of your family's cultured musical tastes! " "Absolutely fantastic, would highly recommend, every age & request catered for. Music was thourghly enjoyed by everyone with ages ranging from 5yr to 98! Fabulous well done mike"
"It provided us with the great opportunity to include the very latest R&B and old skool Dancehall Reggae tunes on the playlist! " "Absolutely cannot recommend enough. Great communication prior to booking. Friendly and approachable on the day and really listened to our choices and song styles. Thank you!" "Appreciate your kind words - it was a pleasure to meet you and wish you all the very best for the future! " 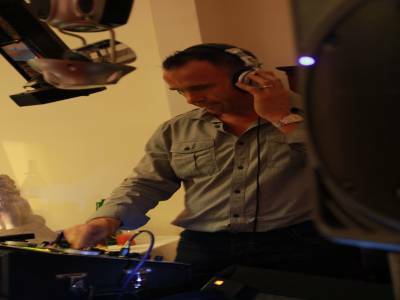 "Mike was an excellent DJ with a great disco who was very happy to play my playlist, when my choices did not get people dancing he smoothly chanced them to ones that did, a true gentlemen. Very happy to recommend. " "Yes, sometimes if the audience are tapping their feet, laughing, and enjoying the music, sometimes that is worth more than seeing them dance, thanks for the feedback! " "I was very happy with the choice of DJ. He was very professional in every respect and I would not hesitate to recommend him." "Who would have thought that a small village hall could be brought to life with some sound and light! Thanks for the feedback!" "Reasonable price and great service"
"Thanks for the kind comments, glad you enjoyed the performance!" "Fantastic service well recommend and will be using again"
"Thanks for your kind feedback!" "Very professional,good presentation, worked co-operatively with the live band.All guests enjoyed the evening and the choice of music for all ages.Would recommend." "No problem working with any band and thanks for your kind comments!" "A 90th birthday was a first for Mike and he was fantastic. Great range of music to suit varied ages, happy to keep the volume down a bit until we;d eaten and so that some of the older guests could still chat and provided exactly what we;d asked for. Highly recommended and would definitely book again." "Definitely a first for me, one of many this year, thanks for booking us and glad to hear you all had a fab time!" "1st class. Nothing was too much trouble for Mike. Can recommend this guy with absolute confidence - a real find." "Lovely couple, lovely night, thanks!" "fantastic DJ and very professional. well worth every penny! played wide range of music as requested and kept everyone happy, would not hesitate to recommend"
"Couldn;t have been any better, brilliant nite and fantastic music. Dj was great from start to finish, many thanks for making our engagement even more memorable!!! Will use again in the future and will definitely refer to friends and family"
"Best of luck for the future, thanks for booking us!" "We were very pleased with Mike, he was clear and professional beforehand and listened and interacted really well with both kids and adults alike. It made the event very special for the birthday girl and her friends. The music and friendly approach was spot on for us and we would have no hesitation in recommending Mike to family and friends. The fact the kids gave him a nickname showed how happy they were." "By the way it was a good nickname, ha! ha! Thanks again!" "Best DJ I have ever booked for an event. 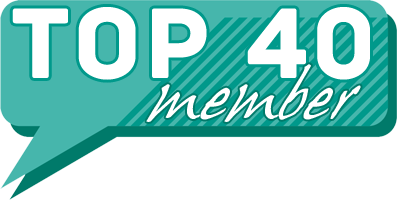 Would recommend this friendly, professional service." "I cannot recommend Mike highly enough. From the first moment we spoke I knew he was the right man for us. His website is first class and from that we emailed and then spoke. Our party was a joint 18th/50th birthday and we wanted a mix of music through those decades with lights and smoke etc. He was amazing - somany people commented on how fabulous the music was. The dance floor was bursting all night! The value for money was excellent. Look no further - he is the man! I would definitely use him again. Thank you for making it a party to remember!" 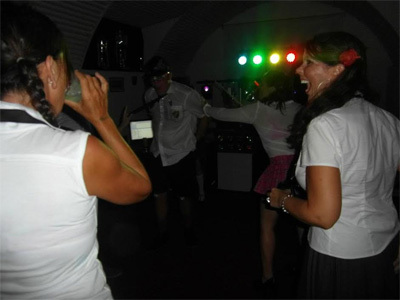 Get FREE no-obligation disco quotes from Viking Disco and other DJs covering your venue. Take 2 minutes to fill in some basic details and we'll do the rest! Dip into the Decades to bang out the bangers!! If you are contacting Viking Disco about an event, it's always a good idea to include the DATE, LOCATION, EVENT TYPE, AGE GROUP and TIMINGS to speed things up!